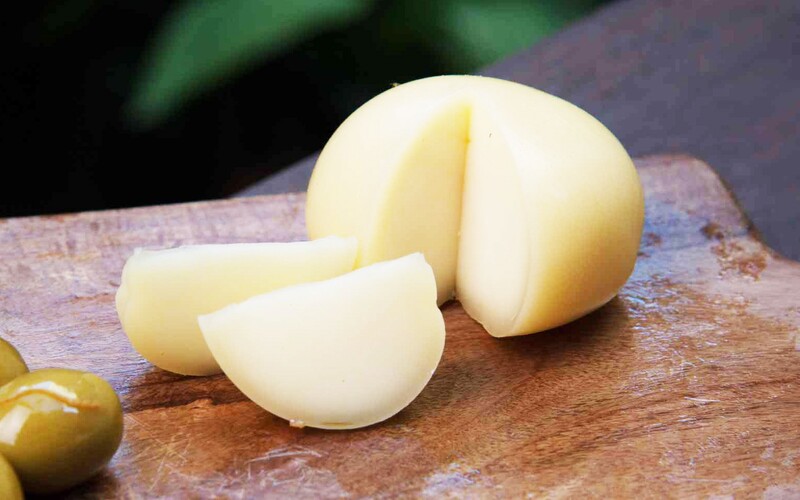 Scamorza is a popular cheese in Southern Italy. It can be substituted for a mozzarella in many dishes, but the taste is much stronger and more dominant. When it's pan-fried, it gets irresistible crust and literally melts in the mouth. Scamorza is nice to eat as it is, but it tastes even better when it's grilled or toasted. 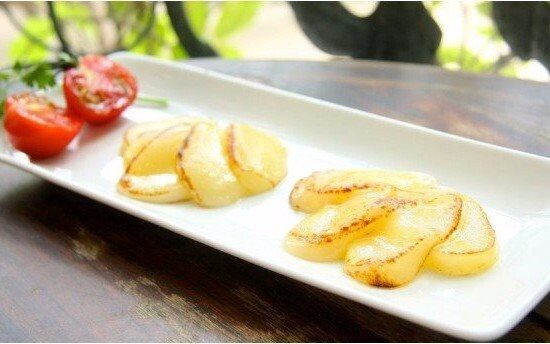 Cut the scamorza cheese into 1-cm thick slices and put some flour lightly on both sides, and then pan fry it with olive oil. The outside gets crispy while the inside becomes meltingly soft. It's also nice to toast it with vegetables or bread in an oven until the surface gets golden brown. Expiration period: 45 days after the production date.